Sarcosuchus, popularly known as “supercroc” is an extinct genus of crocodyliform and distant relative of the crocodile that lived 112 million years ago. It dates from the early Cretaceous Period of what is now Africa and South America and is one of the largest crocodile-like reptiles that ever lived. 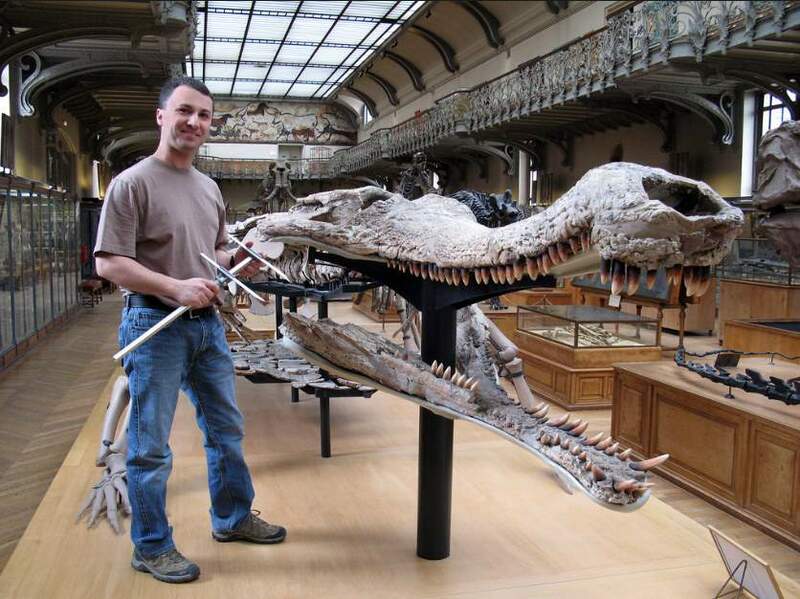 It was almost twice as long as the modern saltwater crocodile and weighed up to 8 tonnes. Like most crocodiles, it had a huge biteforce, possibly up to 9 tons, more than 88,000 N, far exceeding any modern-day crocodile (16,460 N).